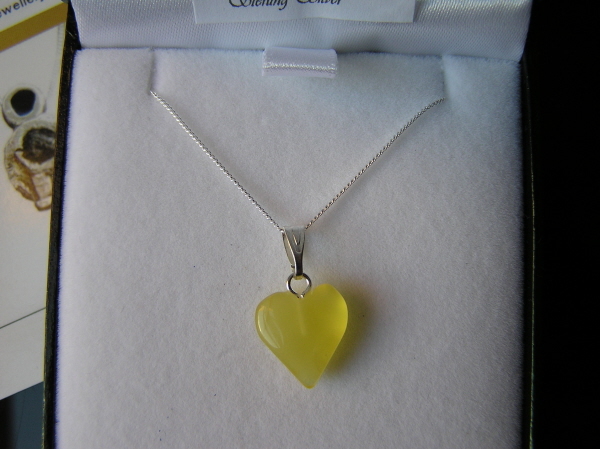 This is a stunning little Baltic Amber Heart pendant. The amber cabochon is skilfully carved into a heart shape. Whereas everyone knows the classic rich brown amber colour may do not realise just how many colours it is found in. This gorgeous light golden colour is unusual and very pretty! This is a simple piece of jewellery, but very pretty.